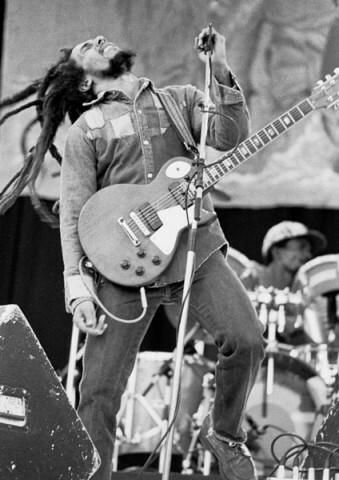 Here are 25 of the best Bob Marley quotes. The man who needs no introduction. He was one of the most revolutionary individuals of his time, and his message lives on. Truth is, everybody is going to hurt you; you just gotta find the ones worth suffering for. Every man gotta right to decide his own destiny. Though the road’s been rocky, it sure feels good to me. Me, only have one ambition, y’ know? I only have one thing I really like to see happen. I like to see mankind live together – black, white, Chinese, everyone – that’s all. The biggest coward is a man who awakens a woman’s love with no intention of loving her. When one door is closed, don’t you know, another is open. Man is a universe within himself. Who are you to judge the life I live? I know I’m not perfect -and I don’t live to be- but before you start pointing fingers… make sure you hands are clean! Don’t Gain The World & Lose Your Soul, Wisdom Is Better Than Silver Or Gold. If puss and dog can get together, why can’t we love one another? You may not be her first, her last, or her only. She loved before she may love again. But if she loves you now, what else matters? Love hard when there is love to be had. Because perfect guys don’t exist, but there’s always one guy that is perfect for you. Live the life you love. 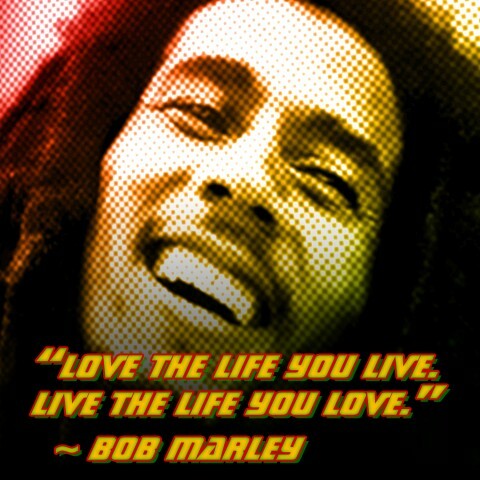 Love the life you live. Better to die fighting for freedom then be a prisoner all the days of your life. When you smoke the herb it reveals you to yourself. Baby don’t worry about a thing because every little thing is gonna be alright. In the abundance of water, the fool is thirsty.